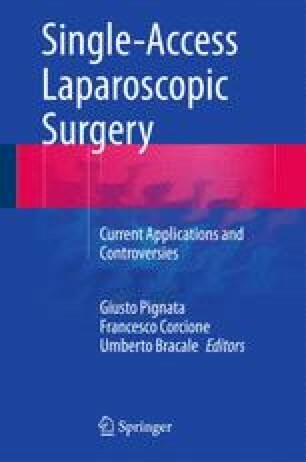 The volume of available clinical outcomes of robotic laparoendoscopic single-site surgery (R-LESS) has considerably grown since the pioneering description of the first successful clinical series of single-port robotic procedures. The feasibility of robot-assisted single-incision urologic and colorectal, as well as of many gynecologic, procedures has been demonstrated. A novel set of single-site instruments specifically dedicated to LESS is now commercially available for use with the da Vinci Si Surgical System, and both experimental and clinical uses have been reported. However, the current robotic systems were specifically designed for LESS. The ideal robotic platform should have a low external profile, the possibility of being deployed through a single-access site, and the possibility of restoring intra-abdominal triangulation while maintaining the maximum degree of freedom for precise maneuvers and strength for reliable traction.